Why Own an A-1 Franchise? 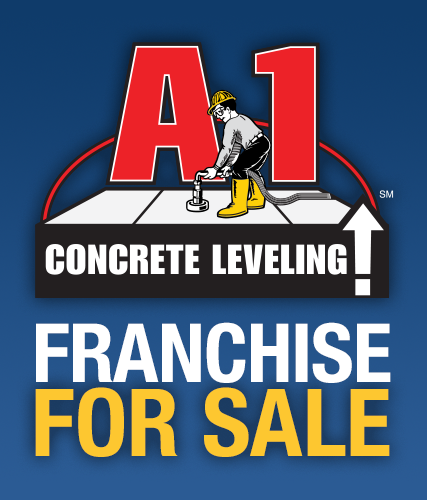 If you have thought about owning your own business, or are looking for ways to expand into new business opportunities, owning an A-1 Concrete Leveling franchise may be a rewarding path to achieving your goals, with lower risk than starting a business from scratch. As long as there is concrete, there will be a market for leveling concrete surfaces. Households, communities, and businesses everywhere can experience cracked sidewalks, uneven steps, and sunken driveways. Everyone wants to be successful, but most people don't have a vehicle to get there. A-1 Concrete Leveling can literally be your vehicle to success. Our self-contained leveling unit provides a simple, direct way to meet a common need of homeowners and businesses in your own protected territory, so that you can turn stumbling blocks into stepping stones for others, while turning opportunity into profitability for yourself. Part of what makes A-1 Concrete Leveling an exciting opportunity is the support offered to our Associates. The team at Corporate is focused on developing new and innovative ways to perform the highest quality work in the industry, and to communicate our message effectively, both in marketing materials and in face-to-face client interactions. Whether it be through video training or marketing, use of our proprietary tablet sales tool, or working collaboratively at our annual meeting, A-1 stands with you as you work to build your business. Over the past 20+ years, A-1 has invested substantial resources of time and capital to ensure that our system continues to lead the industry. Our team is committed to continuing this legacy of innovation and excellence, so that A-1 can continue to be the leader in the concrete leveling industry for generations to come. If you are ready to start on the road to success with A-1, we look forward to hearing from you.